From the famous subtle form of Cross century comes the new “Click” which as the name hints at work through the click pressure and not with the classic roller rotazione.Refill soft gel. 5 colors available. 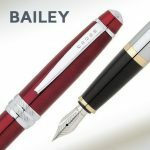 Bailey is a collection of writing instruments by the famous US company Cross, maybe the oldest american pen company. 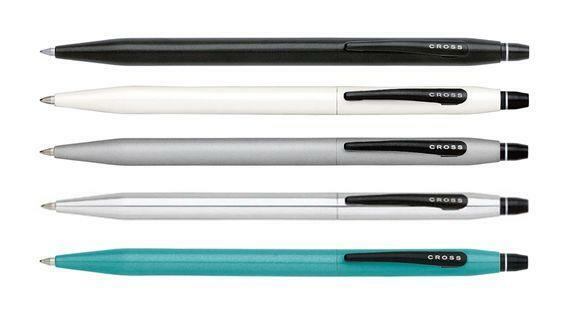 The classic and elegant shape of the pen makes it easy to love it.The pen has been made in steel and then lacquered with brilliant colors. 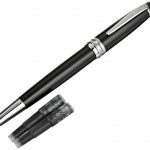 The collection is available as fountain pen with steel nib,roller with cap and twist ballpoint. Colors available : chrome with gold trims, blue, red and black for all tastes !! 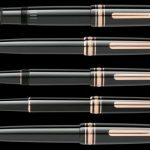 The collection celebrating the 90th anniversary of the historical model of the German Meisterstuck, declines in versions classique (ballpoint, rollerball and fountain pen) and Le grand (ballpoint, rollerball and fountain). Black precious resin associated with laminations in warm red gold. Prices from € 335.00 !! 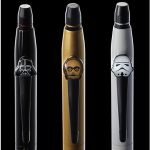 Cross, the iconic US company presents, for the opening of the next Star Wars episode the new Click roller pen collection dedicated to the most significant charaters of scifi saga: Dart Vader, Storm trooper and the robot C3PO!